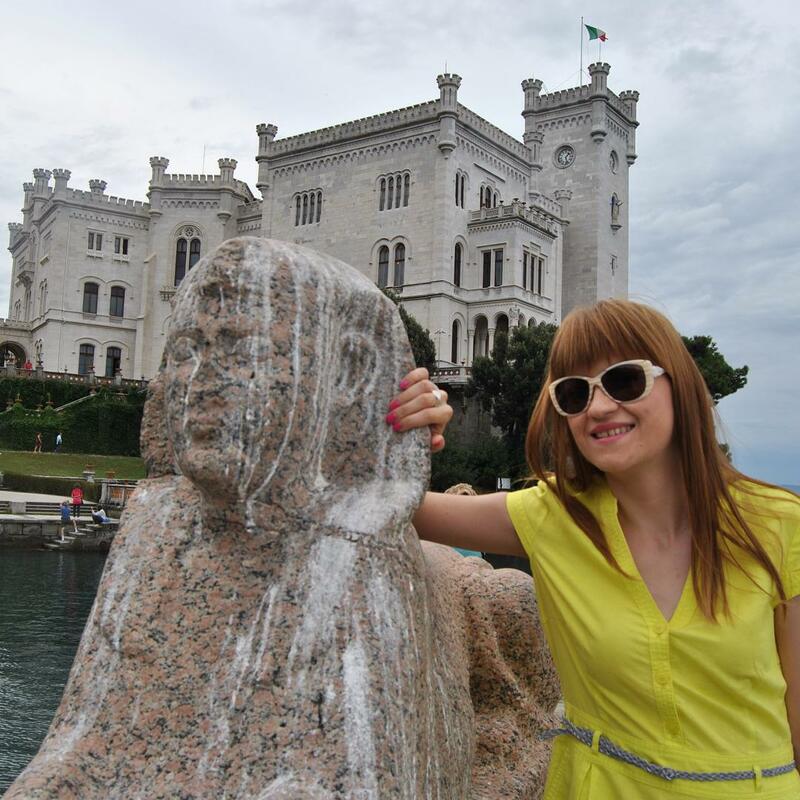 Today I show you pics from magnificent Miramare Castle (it. Castello di Miramare). 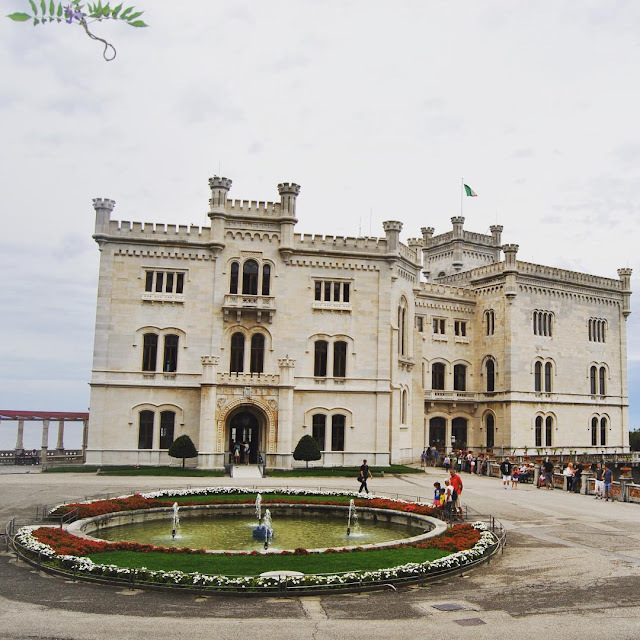 It is located 6 km from the city of Trieste, in Italy. This castle is from the 19th century built for the Austrian duke Maximilian and his wife. In the castle you can see what life was like aristocracy in that period, surrounded by a park that can also be seen. Location of the castle is ideal, in the balance between sea and wild nature. I have spent very pleasant time here and for this occasion I chose lime yellow linen dress, trendy comfy sandals and colourful summer bag.